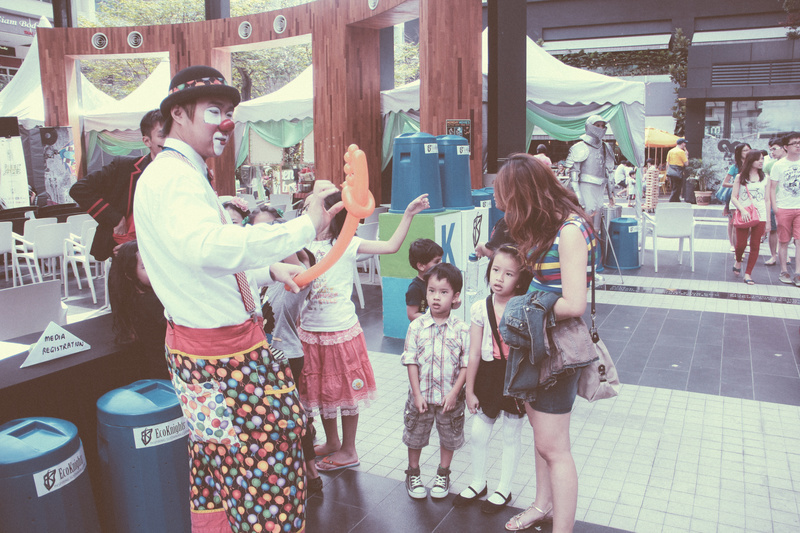 The Kuala Lumpur Eco Film Festival is one of the longest running festivals in Malaysia. As in, a proper festival of film screenings and stuff. Not the awards show kind. Though having said that, there are awards here too. But not the same as the kind of awards in Malaysian award shows also known as festivals. Or something like that. You know what? We’ll stop. Here’s the interview with Yasmin Rasyid, the big boss of the whole damn show. Hi Yasmin! Thanks for doing this interview with us. Can we just start with a mini introduction: who are you and your team, and how did you get involved with the Kuala Lumpur Eco Film Festival (KLEFF)? 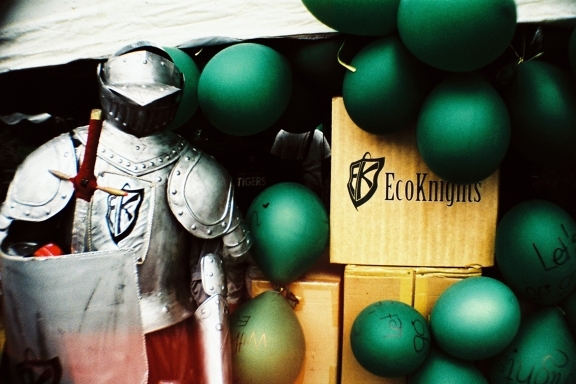 We are EcoKnights, a really small environmental organization based in KL. We are a not-for-profit organisation registered with the Registrar of Societies. With some help, I founded EcoKnights and (KLEFF) in 2008 because of my frustrations with the lack of appropriate and local multimedia materials (animation, documentaries, etc) in Malaysia. My expertise is in community engagement and development and – back in 2008 when a lot of my work revolved around youth – I realised that many of the audio visual materials I had to use were from foreign sources. Accent and language were always difficult to overcome and to reduce these barriers between understanding the environment and knowing what to do, I felt that Malaysians needed to be producing more content, entertaining or not, across a variety of genres. So that was more or less how KLEFF was born back in 2008 when we only had 6 international films and 6 locally produced environmental short films. Actually, we never originally intended to go down the festival route ☺ None of us have film backgrounds, but we felt that most Malaysians love watching films, and if we could use the power of films to raise the ecological consciousness of the nation, well, hey, let’s give it a try and see if it works. We’re at a point now where we feel that KLEFF can and is evolving to be a platform where people from all walks of life share a common passion – a desire to do something positive for the environment. In the beginning, what was the biggest challenge you guys faced in establishing this festival? Local government support and finances. We were the first to do this in 2008 and we did it for under RM30,000 and with a lot of donation in kind from me (because I believed in it so strongly). But these are also the same challenges we are facing today. Maybe our brand is slightly stronger today than it was 7 years ago but to gain government support is one of our key challenges. And not necessarily financial support from government agencies; we mean it as more of an acknowledgement or affirmation that the Festival and festival goers can be “utilised” to help the government address and potentially solve today’s environmental woes. Lastly would be the support from local film makers. We feel that our local filmmakers are sometimes not that into making stories about people and the environment. Instead we pride ourselves on ‘Cicakman’ and pontianak – stories which, while entertaining, are not about making a collective change for the future. Our challenge is to reach out to as many local film makers and get them to consider participating and making more localised stories about local issues – from pollution to deforestation to wildlife smuggling and the haze. 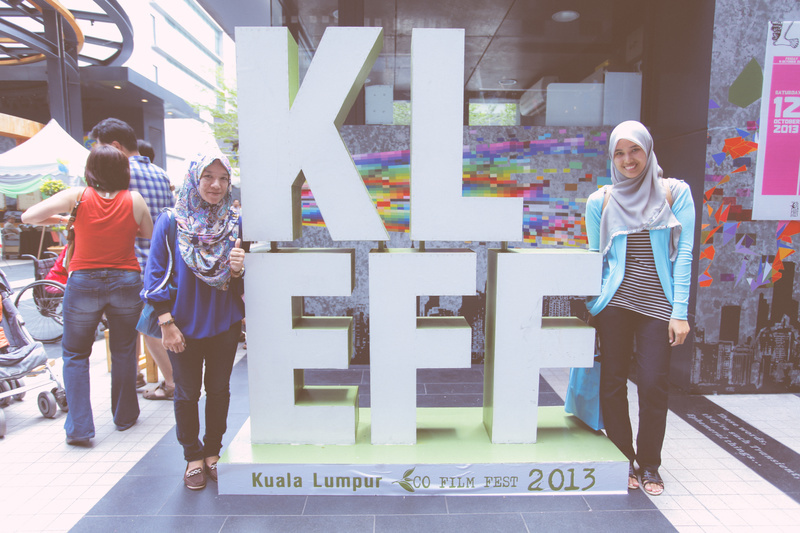 Now that KLEFF is firmly established, how does it fit in with the rest of the film festivals here in Malaysia? Well, we feel that we complement each other. 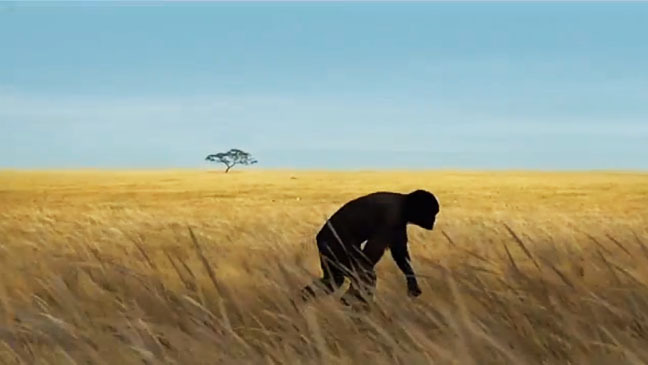 Like with the Freedom Film Fest (FFF), many of the filmmakers that submit to KLEFF also simultaneously submit to FFF, and it’s awesome to share what we feel are environment-themed stories with another festival that focuses on human rights. Again, with the bigger boys, we have yet to make any breakthrough. But we’re still trying. This year is the seventh edition of the festival. What is it about this year that makes it different from the previous editions? The layout of the festival is totally different from last year. We are moving all the screenings to be inside the Black Box at Publika Mall (previously it was done at Segaris Art Center and also at the Square). We feel this will provide a better screening experience for the audience. Secondly, all the workshops will be taking place at the White Box (unlike last year where it was held at the Square and inside the mall). The exhibition spaces and layouts have changed a lot too and many of our partners are new. In addition, we feel that the musical component called Green Vibes will definitely rock the socks of the crowd. Expect some real eclectic local talents to belt their hearts with some eco tunes. What has the reception from the past six years been like? Some years were good and some years were absolutely bad; for example, in 2009, we had no sponsors at all. But overall, it seems to be trending upwards. It’s not about how big or small the festival is or how many logos you have on the poster; it’s about observing the reactions on the faces and eyes of the people who attend the Festival. In general, I see so much more engagement, so much interaction, positive vibes and emotions among the audience, which is essential in starting a sustainable movement. 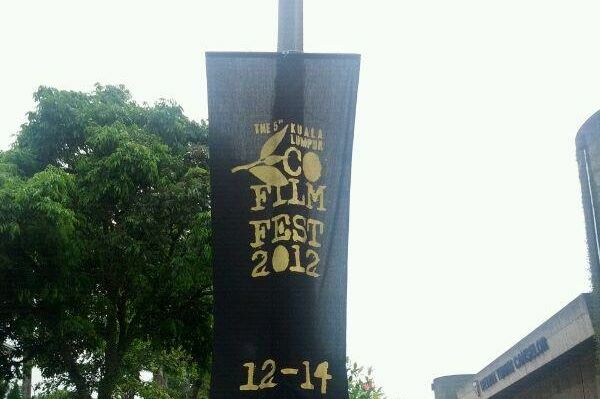 It’s interesting to note that the festival is one of the longest-running film festivals in Malaysia. What has set this festival apart from the rest of the field? Well, for one, we only screen environment-related films and unlike other festivals, our films are from all genres from documentaries to feature films, and short films to animations. I think what has set us apart is that we don’t just screen films, but we engage the audience with loads of other activities like community workshops, environmental talks, and exhibitions and performances. So it’s really a festival fit for the Malaysian family. You come, you explore environmental issues through films, you engage with non-governmental organisations in the forefront of conservation, and the whole works together to make a unique experience. It’s a weekend out exploring and identifying yourself with a social or environmental cause that resonates with your true self and I think that’s what keeps people coming back. The DC Environmental Film Festival is the festival we look up to, but of course there are also two decades ahead of us in terms of organisation and experience so we at KLEFF have a lot to learn and master, and though we’re getting closer, we’re still striving towards the realisation of our vision. With regards to its objective, is KLEFF more of an effort to raise awareness about the environment than it is a celebration of films, per se? Yes and yes; it’s both, or a combination of both. We are not just celebrating the films and the filmmakers, it’s really about the films making a difference by educating the audience on what needs to be urgently addressed out there. 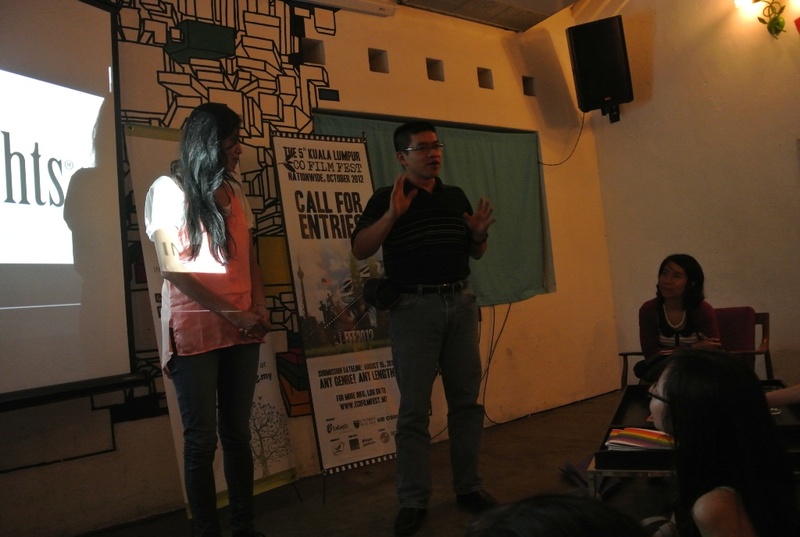 Every year, the number of films submitted and screened has shot up. What are the main criteria for a film to be submitted? The only criterion is that it has to have an environmental angle to the story. We keep the requirements fairly minimal to accommodate to the many issues that need representation and the various methods filmmakers use to highlight them. This year, there has been a range of films selected from all over the world. What is the selection process like? Are they all submitted for consideration, or do you actively seek out films to screen? What are the criteria for a film to win, then? Are we considering how good a film is made or how strong the message is? Or is there something else I’m missing? The primary criterion is the message of the story; the other criteria are creativity, cinematography and also sound/editing. Let’s pick last year’s best film award winner, ‘Surviving Progress’, as an example. What made that film the winner? The judges felt that ‘Surviving Progress’ gave a very visionary “perspective” of our daily challenge balancing “growth” or “progress” versus sustainability. The narration was great, and the flow of information through the content was both entertaining and at the same time, “wakes up one’s senses.” Speaking to the technical aspect of its selection, there was a collective point system which got this film to the top three shortlisted films. I ask because this year’s judges are made up of Mano Maniam, Yasmin Rasyid and Sharyn Shufiyan, a field of people who excel at different things, but not all of them are primarily known to be filmmakers. How do you go about selecting your judges for the festival? We send out invitations and we wait to hear from them and the two who have responded have been Mano and Sharyn. And since we have absolutely no allocation for the judges, their time and commitment also shows that they are keen to help our cause without a fee. Of course, I necessarily spend a lot of time working on the KLEFF so judging isn’t that big of a stretch for me, but these two are taking time from their busy schedules to contribute to a good cause. And in the end, selecting from 365 films is tough, and then judging the accepted ones (75) is a whole new ball game. So we are very thankful to have Manu and Sharyn as judges. Sharyn is very well versed in environmental issues and so am I, so we feel like we have a firm grasp of the issues being discussed. Mano has been in the broadcasting industry for the last 3 decades so he would be the closest judge we have to the filmmaking world. In addition to this festival, other films such as ‘An Inconvenient Truth’ has also championed for similar things. What kind of impact do these films actually have on the general population? It helps provide solutions. It also helps issue somewhat of a wake up call to some people, and for those who are in the realm of social entrepreneurship or about to start, the impact of these films can help them build more sustainable businesses. With regards to KLEFF itself, how successful do you think you’ve been in creating a nation of more ecologically-conscious people and business? We would like to think that we’re overcoming more obstacles and having a bigger impact every year, but we have a load more to work on. In an interview with The Star, you were quoted as seeing “an insurgence of a very young and collective movement of environmentalists.” Can you give us an example of this? If you experience KLEFF, even for the first time, you would notice the visibly younger crowd that attends the festival, and many of them, from all sorts of background, are very driven and passionate to learn, to network and to find a sense of belonging in environmental movements. And many such potential movements can be felt as growing from KLEFF. After having screened at the festival, how can people catch up with the films selected? Some are on Youtube, but others are not. Well, we highly recommend the public to host community screenings, which EcoKnights can help to set up. EcoKnights has access to films that the public might not have and to accommodate to the needs of the people, we’re glad to come out to your school, interest group, organisation, or community to show any number of official KLEFF films. You can find more information about community screenings on the KLEFF website. On the website, it is mentioned that you work closely with higher institutes of learning. Can you elaborate more on what this actually entails? We collaborate with universities in the past such as Universiti Malaya, Universiti Sains Malaysia and even IACT College, and we collaborate by working with the deans or lecturers for one or two semesters where their projects would be along the lines of “producing a short film on the environment”. So we come in as mentors and partners to help the students work on their short films, through the process of post-production and right up to the screening of their films at KLEFF. If the world needs saving, then how can I save it? So many ways, actually, and they don’t really need to be terribly big actions. For instance you can refuse plastic bags whenever possible, alter your diet to reduce your intake of meat, purchase with minimal packaging, make less purchases generally, and the list goes on and on. The key is to remember that we can’t just instantly “save the world.” It’s going to take a prolonged effort to change the world population’s daily habits bit by bit. And any individual can contribute to that by making small improvements every day and being more conscientious overall. The Kuala Lumpur Eco Film Festival will take place from 17th to 19th October 2014 at Publika. Check out the screening schedule here, and say hello to Yasmin and the rest of the EcoKnights if you see them!